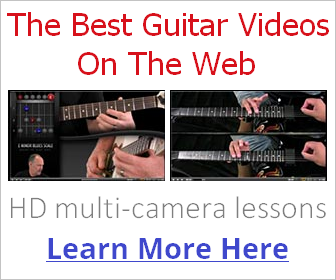 Your chord playing needn't be restricted to the same old open and barre chord forms you learn during the beginner-intermediate stage. You should also have the confidence and method to search out fresh sounding chords for your own music, without always relying on chord charts. In the video, I gave you several examples of how positioning different shapes up the neck can harmonise nicely with an open root string (5th or 6th string) and open 1st string. While I would strongly encourage independent exploration of this concept, you may find the below charts useful for getting started. Below the charts I've placed a tab of some good sounding positions for each shape using both A and E string roots. Feel free to modify these shapes however you wish and even try fretting the 1st string in the shape for a four-finger voicing. 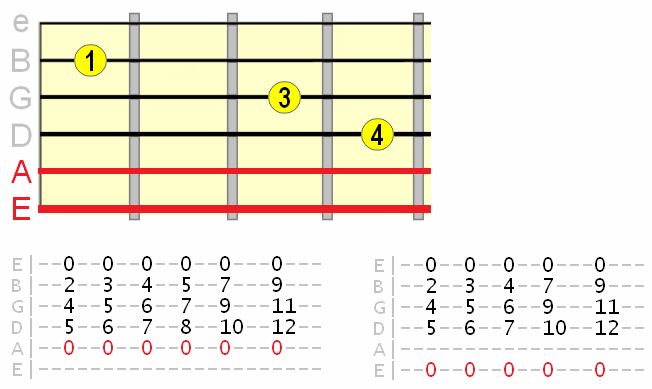 When strumming, blocking out the 5th (A) string avoids muddying up chords that use a 6th string (E) bass. That is of course unless you find a way to incorporate the 5th string into your movable shape. But let's keep things simple. Here's how I mute the 5th string. 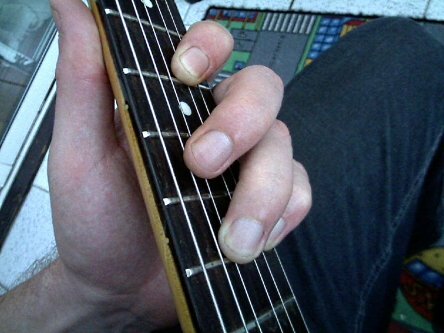 Since we're using three finger shapes, we'll always have one available finger to lightly touch (not enough to fret) the 5th string and effectively mute it. Easy, right? Although it might take some time to get your muting finger down fast enough. Like with anything, just keep practicing. Ok, now on to the charts. 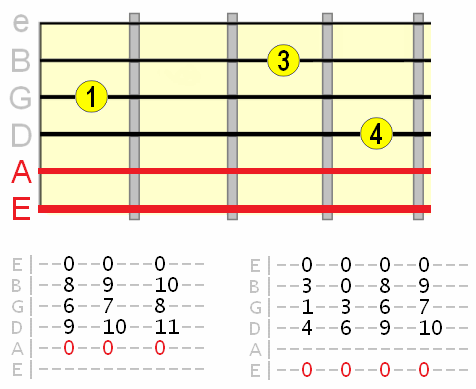 Note that in some positions I've left the 2nd (B) string open as well, for a richer voicing. This is something you need to experiment with. Some beautiful chords to be discovered through very subtle alterations. While these chords might sound pretty enough on their own, you'll obviously want to try incorporating them into your songwriting and create meaningful movements/changes out of them. Experimentation is the key. 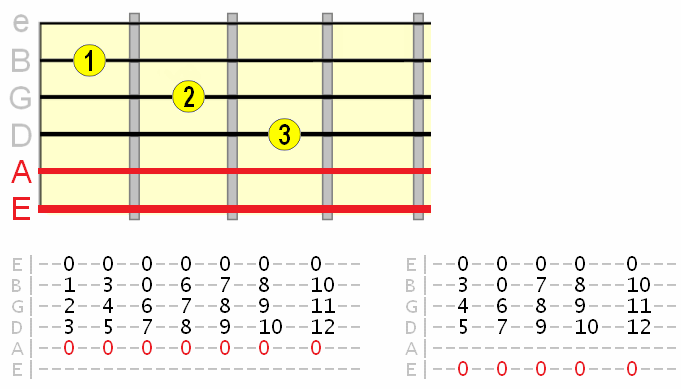 As we're using an A or E string root, try replacing instances of chords that use these roots with the chords above. 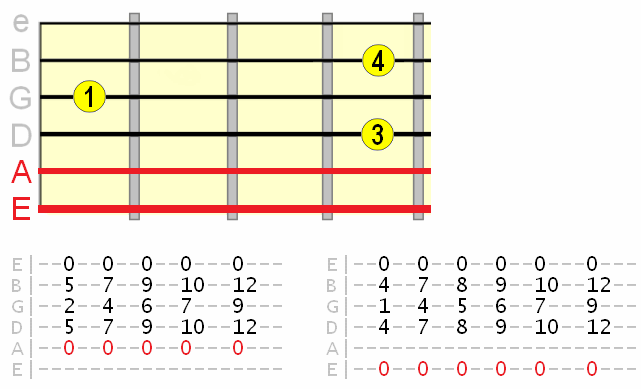 Try changing between regular chords you know and the open chords above. Try creating movements over a "drone bass", for example, try different A string chords in the same sequence. Chord changes don't have to involve changing the root note. Try alternating between A and E string bass through your chord changes (you can hear an example of this in the video). 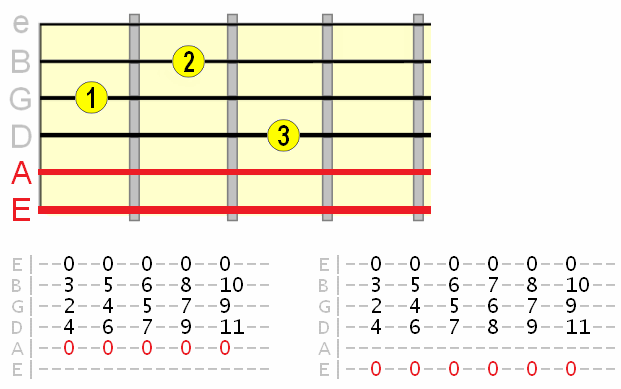 Try something similar using a D string bass and forming chords on the top three strings (G, B, e). 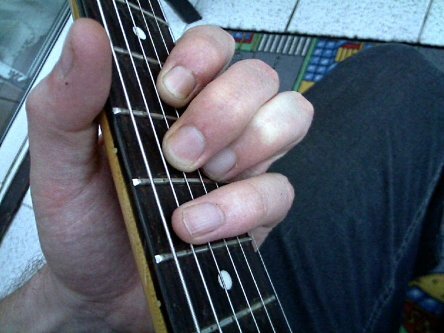 Use finger picking, flat picking, strumming or a mixture of the three. 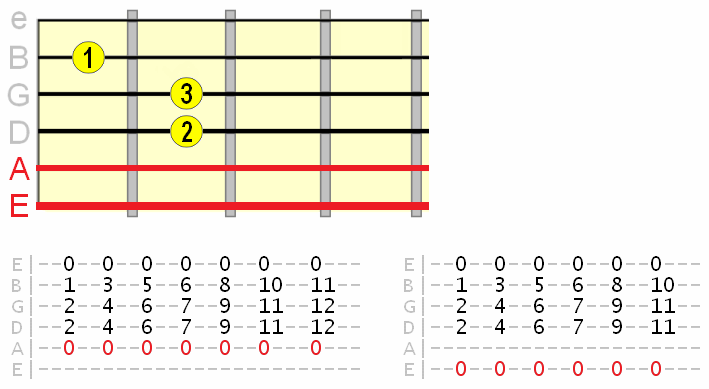 Try tuning the low E string down to a D for a different bass note and try these same shapes. So there's plenty to play around with using this method. I hope you can use it to find some inspiration for your songwriting and/or jam sessions. Please don't hesitate to send me your creations (or post them in the comments form below by uploading an image of a tab - I recommend Guitar Tab Creator) - I'd be interested to see what you can come up with!